Interesting fact – every single testimonial on this website was volunteered by our clients. We do not seek out testimonials. Read on to find out why. If you read a lot about marketing on the Internet, you will know how important it is to be seen as credible to website visitors. 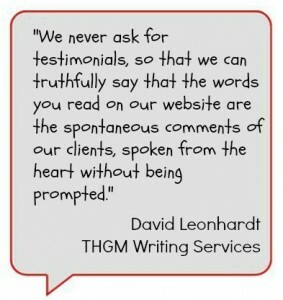 This is important to us, too; when you visit our website, we want you to feel assured that we are credible.